GARDAÍ IN CORK city are appealing for information following a hit-and-run collision that has left a 3-year-old boy in a serious condition. Shortly before 4pm a boy (3) was struck by a car at Castle Meadows off Skehard Road but the car failed to remain at the scene. The young boy was taken by ambulance to Cork University Hospital where his condition is understood to be serious. The scene of the hit-and-run is currently being examined by garda forensic collision investigators. Gardaí are now appealing for witnesses to contact them. They are particularly appealing to motorists with dash cams who were driving in the Skehard Road and Castle Meadows area between 3.30pm and 4.30pm to contact them. Anyone with information is asked to contact Anglesea Street Garda Station 021 4522000 or the Garda Confidential Line 1800 666 111. Email “Three-year-old boy in serious condition after hit-and-run in Cork city ”. 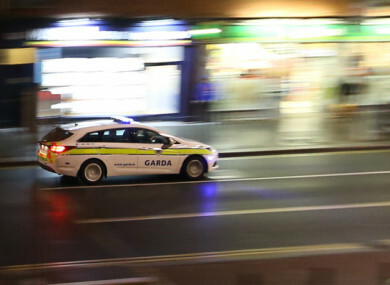 Feedback on “Three-year-old boy in serious condition after hit-and-run in Cork city ”.